Ready to get the sparkling smile you’ve always dreamed of? If your teeth are stained, yellow or your simply not happy with their color, we’re here to help. At Dental Solutions of Little Rock, we’re happy to offer a variety of whitening options for your needs, including in-office whitening as well as Glo professional take-home kits. 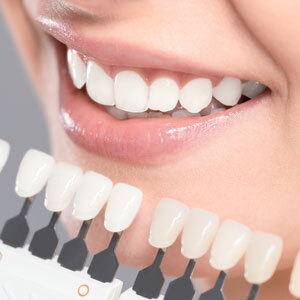 Teeth whitening is ideal for adults who want to achieve a whiter smile in a safe environment. Our team members are specifically trained to perform in-office whitening services, which includes the application of a bleaching agent to your teeth. We always ensure your gums are protected so they won’t be damaged. After the bleaching agent has been activated on your teeth, we’ll rinse it off. Then, you’re free to go home or return to your normal activities. Some patients may experience tooth sensitivity immediately following the treatment, though it should subside in just a few hours. We recommend taking an over-the-counter pain reliever to help. To help ensure your smile stays white and bright, we also offer take-home bleaching kits through the Glo professional system. Kits include a professional strength whitening gel that you can apply in the comfort of your own home. These kits are wonderful to maintain your in-office results! Our team will discuss exactly how you should use them at home so there are no surprises. 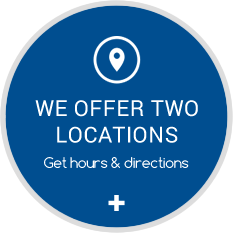 We strive to keep our treatments as affordable as possible for patients. Because each person is unique, it’s difficult to estimate a cost without seeing you first. We’d be happy to provide you with an estimate in our practice so you can know exactly what to expect before undergoing teeth whitening. Wondering if teeth whitening is right for you? We’d love to speak with you. Get started today by making an appointment with our practice. We look forward to seeing you soon!